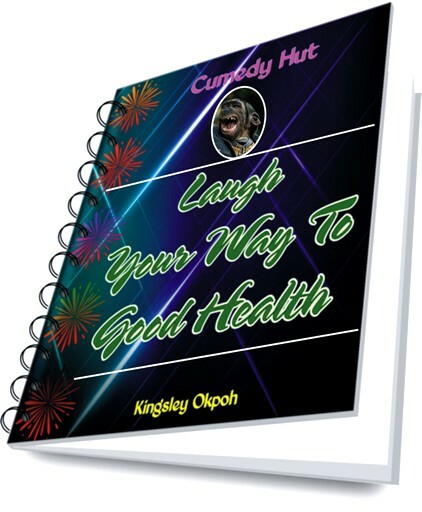 Copyright 2013 by Kingsley Okpoh. I wish to set the records straight right from the beginning of this e-book. It would not have seen the light of the day but for the persistence and encouragement of many of you out there who are regular visitors to Cumedy Hut which was located at http://cumedyhut.csjvom.com.wp but had to be moved to http://cumedyhut.cumedyhut.com/wp due to technical challenges being experienced by our hosts. I eventually took the decision to write this book after I lost a whole chunk of materials that were on the blog when my webhost went gaga for some days and on getting back to their senses, they could not retrieve most of my old posts! And so, when I re-started posting and you guys and gals kept talking about this idea, I knew there was no escape route this time around. I wish to herewith give thanks first and foremost to the Almighty God the giver of knowledge and to all of you whom He kept using to push me in this direction until I finally capitulated to this wonderful idea. If you ask me now why I kept running away from this idea, I honestly cannot give you any cogent reason. I however thank God and you all out there for your support in this venture.